If you head on over to ill.motion you’ll see my photos from June 5th’s Beyond meet (http://illmotion.com/im-event-coverage-weekly-403-hondabeyond-ca-meet-june-5-2013/), but as I did with the Firebird Club show, I wanted to have a few pictures here with some comments. First up, this E46. The colour is Phoenix Yellow and I don’t believe I’ve ever seen another one in person. It’s a love-it-or-hate-it colour but I like it. Combined with the Mag Blue Volks and hints of CF I think it looks even better. 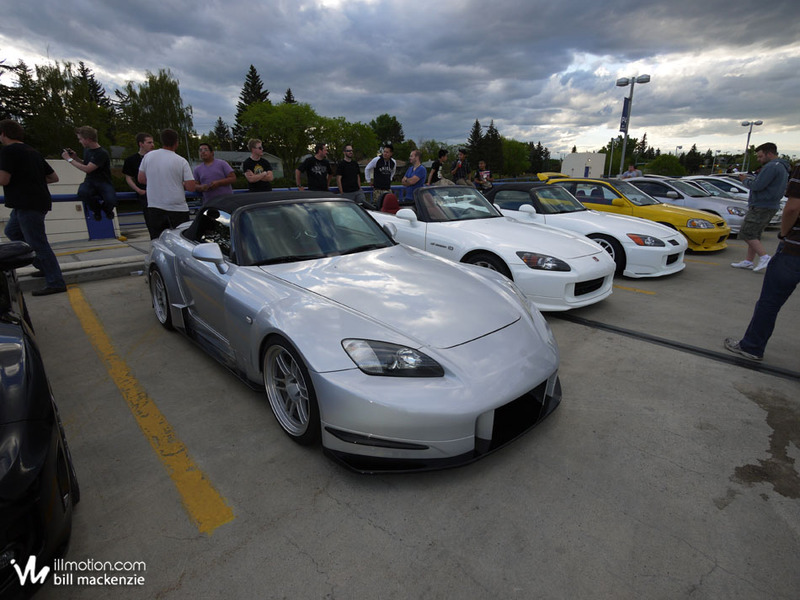 While there are some nice S2000s in the foreground of this one, in the background you’ll note a few people looking at something. On the ramp were a few police cars as we had some officers show up to the meet, but everything was normal so they left shortly after. From time to time they (or mall security) will stop by just to see what’s going on (they know we meet every week) and it serves as a friendly reminder to everyone to act responsibly. Sometimes they’ll even check out the cars and chat to owners which is cool. 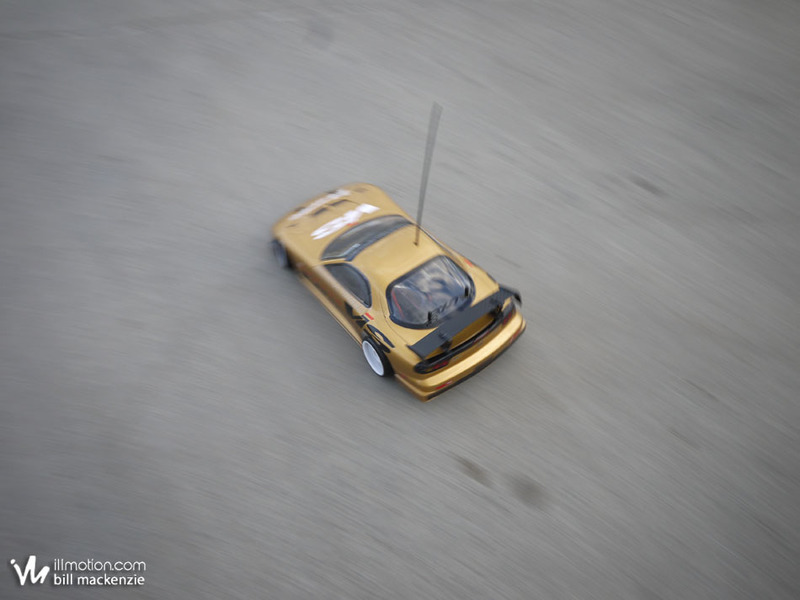 The reason for my less-than-average number of shots this week is Kanji and I were itching to get the R/C cars out and do some drifting. He had just picked up an E10 as well so we could both go sliding around the parking lot this time. As I said in the iM post, if you have an R/C car feel free to bring it out and join in! Last year there were some pretty big groups of these things racing around and it’s a ton of fun.